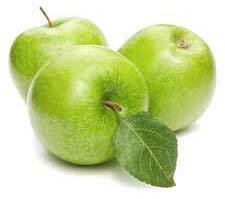 The company is a well known Manufacturer, Supplier and Exporter of Fresh Green Apple. Our Green Apple is grown without using any kinds of harmful fertilizers and chemicals. Special care is taken about the packaging of the Apple before the final dispatch. Bulk orders of the fruit are processed by us as per the specific requirements of the buyers. One can obtain the fruit at nominal rates from us.